Welcome to Gamer.Ninja. The home of the legendary live broadcasting video game streamer, GamerNinja. 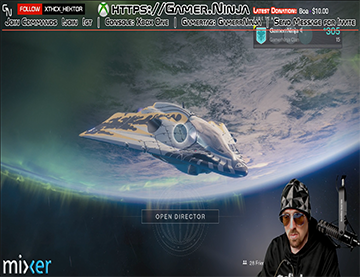 Gamer.ninja brings you the latest video game reviews, video game streaming and live broadcasting industry news, updates, software, hardware product reviews. 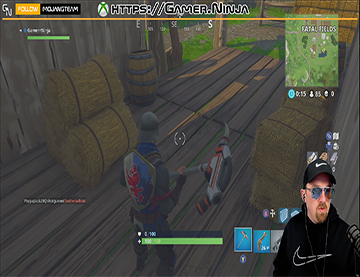 GamerNinja is a leading video game streaming influencer, live streamer, and online content creator and broadcaster. GamerNinja currently streams on Mixer.com, Twitch.tv, YouTube.com, and SmashCast.com. Coming Soon: GamerNinja will be streaming from his own platform right here at Gamer.Ninja. Missed GamerNinja’s latest stream? Catch yourself up on all the latest action below. GamerNinja uses the best streaming products and services. The latest products and services are featured on here. GamerNinja is a leading streaming influencer who promotes only the best video game streaming equipment. If it passes the ultimate GN test, we will showcase it right here. This allows our visitors to see what he is currently using for streaming equipment. Catch up on the video game and live streaming industry news and updates right here. Read articles and blog posts with reviews on the latest video game streaming products, online streaming software, video game streaming updates, PC upgrades and more. 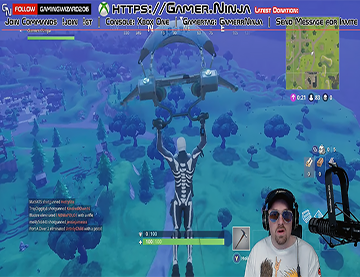 As a leading and best video game streaming influencer, GamerNinja offers a true and best video gaming live streaming experience. If you would like to contact Gamer Ninja, feel free to contact him today! Gamer Ninja would like to hear from you! You're Awesome! Thank You For Sharing GamerNinja.